The search and the filtering of the papers for the review article was performed by JJ (under supervision and with help from NR). JJ performed the abstraction of the data from the papers. Both NR and JJ worked on the writing of the paper manuscript. JJ mainly worked on the writing of the first draft. NR considerably reworked this draft and designed the tables for the figure. The revision of the paper was done by NR. The authors declare that the writing of the paper was done in compliance with all ethical standards. ASDEU. (2018). 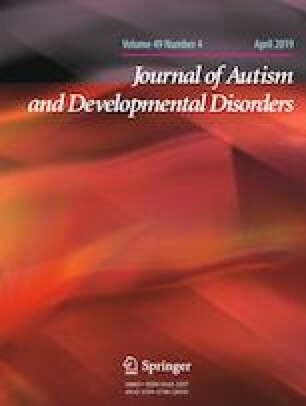 Autism spectrum disorders in the European Union—ASDEU. Summary of Report WP1. Task 1.2 Burden of ASD and Task 1.3 Cost of ASD screening. http://asdeu.eu/. United Nations Department of Public Information. (2015). “Employment: The Autism Advantage” in observance of World Autism Awareness Day on Thursday, 2 April 2015. https://www.un.org/en/events/autismday/events2015.shtml.